Unveiled exists to transform women’s ministry in the body of Christ, through the word of our testimony, by creating a safe place and platform for women all over the world to share their stories and victory in Jesus’ name. We are continually developing this through a Holy Spirit-led culture of authenticity, intentionality, and, most of all, discipleship. Our desire through this ministry is to serve the church by building a bridge, exposing the enemies’ lies, and unveiling God’s truth. Queston: Why did you decide to call the ministry Unveiled? What does this name mean to you? Monica: Everything we has done have been soaked in prayer. When it came to the name we did not know exactly what to call it, but we were looking through scripture and we believe God has given us some pillar scriptures to stand upon. Isaiah 61 is kind of the main scripture that God has given us and anointed us for and as we read through it we were looking for words that would fit with the theme, but we could not really find anything that sounded right or fitted what we were about. So I told the girls to go home and we would all pray about it in a week and asked God to show us it. The Lord took me to 2. Corinthians 3 and I believe this it what I am personally going to preach for the rest of my life and teach on. As I was reading through 3:17 I underlined it and just wrote unveiled in my journal. The next time our group got together I asked the women what names they had and three of them had been given the word unveiled as well and had gone to the same passage in the Bible and had felt that this is what God wants it to be called. That is how we decided to call it unveiled. We got weareunveiled, because we were searching for a website and unveiled was not available, but the name weareunveiled was available as a website and on social media. And this is also our hashtag and how people can connect with us on social media. Together we are unveiled. Individually we cannot be unveiled. We are stronger together and a unit. Question: How did you know Unveiled should consist of the women you are consisting of (the total of 9 women)? Hannah: I love this question. Monica: I was in a season of life were I was really asking the Lord to unveil more of himself to me and then God gave me a vision for Unveiled. In the vision I saw Kate (Ballinger, one of the co-founders of Unveiled) and I saw her face in the vision. So I knew she was to be apart of it in some way. As God began to unpack a little bit more of what the vision meant I began to pray and ask Him to unveil to me your eyes to see who are supposed to be apart of it and I would maybe be scrolling through Facebook and I would see someones face and I would sense in my spirit that God would say ‘her-she is supposed to be apart of it’. I would see these women and I would be envisioning how they would fit in it or I would have a conversation with some of them and I just knew they were going to be apart of this ministry. Some of the women I had only met one time and I did not even have a real relationship with the woman. Hannah is the only one I have known for more than a year. I remember telling God; ‘You have given me this list of women’, and He said ‘You need to pursue this’, so I messaged some of the women on Facebook, they were not even my friends on Facebook, and within 30 minutes they all replied and said ‘I am interested’. It was completely listening to God and having the faith to say I believe that is God’s voice and act upon it and reach out to these people. I think sometimes when God gives us an anointing as a leader, it is our role to call out the gifts in other people as leaders. Hannah: And at the same time God was telling every single one of us that He wanted us to be a part of this. He was preparing everybody. For me God was telling and preparing me to be a part of this and the next day Monica called and asked me. When the Lord calls you to do something, He informs everybody. It is really cool. Question: Why do you think it is so important to share your story and struggles? Monica: The moment that we share our stories there is someone that will hear that and the darkness that they are in the light will begin pierce through. They will begin to see the truth. We are working from a place of victory and we are already won. If we can get that wrapped around in our minds that we are working from a place of victory to overcome things in our lives, then we do not have to fight anymore. We can allow Jesus to fight for us. We will conquer the enemy completely by sharing our stories. There is power in sharing our stories. Stories are our platform. 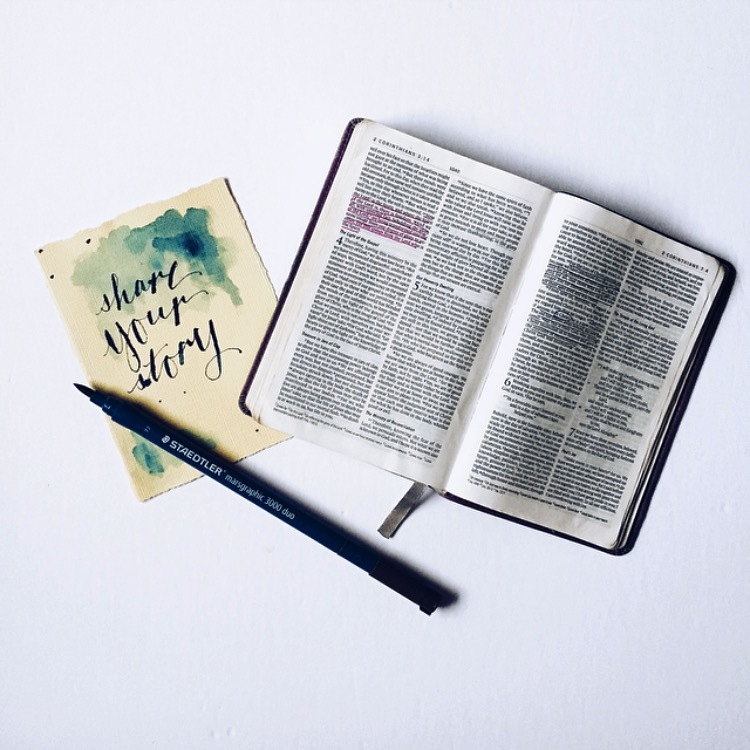 Discipleship is our mission.So when people write to us and share their story, they will be matched with a mentor and the discipleship-part begins. Hannah: Yes! Our stories can help people to avoid going through the same things and making the same decisions as we did. Whenever you share your story it is tapping on a heart string. Everybody has that side that is close to them and that they can relate to. We all have a story, no matter who you are and your background and there is power in sharing it. Sharing our stories is like worshiping our God. Whenever you are glorifying Him with your story, that is an act of worship. Question: What are some of the plans for Unveiled in the future? Monica: Right now the big thing that we want to push and we want to continue to be about is the whole mentorship and discipleship aspects of what we are doing. So right now the future looks a lot like we are going to continue to receive mentor applications and we have about 20 women that have applied right now to be mentors. There are two applications they fill out-we check references they have to do a background check-just basic things to make sure they are equipped before we pair them with a woman to love on and shepherd through some things and so we are working through those women and then we will receive. If we get for example 15 mentors that have applied then we will only receive 15 mentees that can apply as well. So we will pair them and then we will launch the first session of mentorship and discipleship. Long-term future: we have always said we wanted to do a conference and so we want to do a big conference where we can invite people like yourself and people from other states. We have a lot of women in other states that have expressed a lot of interest and we are in Texas, so would love to have one conference a year and invite everyone to come and make it so that people do not need to pay to stay in a hotel, but can find a place to stay with one of the women here locally that can open up their home or apartment to meet other people from the community. This is for sure one thing that you will see in the future. We have also talked about the idea of a book or magazine. We already have a partnership with a magazine-a magazine that is all about living missionally and highlighting making disciples and this magazine is going to be publishing stories that we receive at Unveiled. We have so many women submitting their stories and we would love to collect them in a book, so women can encourage other women through their stories. Read more about this amazing ministry at http://www.weareunveiled.com/.